VPS (Virtual Private Server) is a type of web hosting, VPS server is less expensive if we compare to the dedicated server, it is run off the separate memory of entire server which allocated by server provider. Here you will get separate IP addresses for internet and it is a perfect hosting solution for Linux OS based system. Improvement Reliability:-Here you will have a complete access to the hosting server without any restriction of your hosting provider and you can also allow configuring security as you wish to set up. You can get here additional server, protocol, mail server file transfer and any application. These are the features that make your website reliable and trusted. Control server:- In VPS server admin have full root control of the server, and with the help of root control, you can monitor your website on the server, in VPS hosting server you can install any software and packages without hosting provider support. In shared hosting server so many software that you can’t install yourself because of so many software not supportable in shared hosting. You can remove this problem to shift at VPS server. Cost savings:- Virtual server allow to use advanced services with low cost and only because of their cost VPS becom aa first selection of customers and client If you cant to access entire server then you have to pay more cost for use dedicated server so instead going to anywhere VPS is a good way to host your website at low cost with all serices with root control. Performance:- This is one of the best reason to choose VPS web hosting if you have been hosted your website at shared server then you will not get performance like you wish because you will get only a part of server and sometimes when any shared hosting being conflict then than the all have to suffer from this problem. 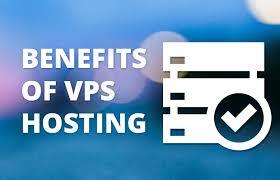 In VPS you will get your separate allocated server that makes your performance better than the shared host.